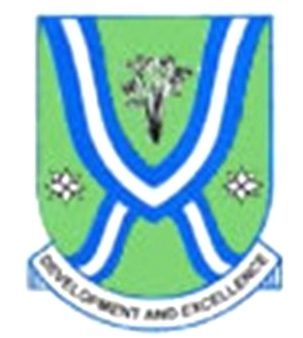 Applications are invited from suitably qualified candidates for admission into the Pre-Degree programme of Ebonyi State University for the 2016/2017 session. (ii) EBSU Pre-Degree internal examination (which qualifies successful candidates with national minimum UTME score for consideration for admission into EBSU main degree programmes). (iii) Serves as a remedial programme for candidates preparing for O’Level examinations but is not a substitute to O’Level requirements for main course admission. (iv) Offers participants intensive training in Basic Information and Communication Technology (ICT). Successful Pre-Degree candidates are meant to benefit specially from the JAMB admission quota reserved for prelim candidates. Please note that successful candidates from the Pre-Degree Programme are expected to also obtain the minimum UTME score.through JAMB/UTME and have to choose Ebonyi State University as their first choice university to qualify for merit admission consideration. D. MAIN UNIVERSITY PROGRAMMES WHERE SUCCESSFUL PRE-DEGREE GRADUATES CAN BE ADMITTED. To be eligible for admission, a candidate must have five (5) credits in GCE O Level, NECO or SSCE at not more than two sittings. The programme is designed for one academic year, which shall last for a minimum of Ten (10) Calendar months. Sales of admission scratch cards starts on 1st September, 2014 and ends on 28th November, 2016, while lecture will commence on 30th November, 2016. (a) Application forms are obtainable online, on purchase of four thousand five hundred naira (N4,500) EBSU Pre-Degree Scratch Card payable to Pre-Degree School, Ebonyi State University, Abakaliki, Account Number: 0007910095, Diamond Bank Pic, Abakaliki, CAS Annex (Branch).